At M. Jeffrey Martin, CPA, LLC, listening is the foundation of our business. We take the time to get to know our clients so we can find practical ways to meet their accounting and tax needs, understand their struggles, and help them achieve their financial goals. From startups and entrepreneurs to established enterprises, we provide quality accounting services and strategic tax planning to all types of businesses. We also offer prompt and accurate income tax preparation for business owners and individuals. Trusting your business or personal finances with someone you don't know can be challenging. At M. Jeffrey Martin, CPA, LLC, we understand the difficulties behind choosing the right Saint Simons Island CPA for you or your business, which is why we offer a free initial consultation. This allows you to get to know us and us to get to know your business - so we can build a long-term professional relationship. Give us a call today at 912-634-7722 to get started. We look forward to working with you. Jeff Martin, C.P.A., a native of Albany, Georgia, received his Master of Taxation degree from Georgia State University in 1993. He also graduated from the University of Georgia in 1987 with a Bachelor of Arts degree, majoring in economics. Since graduation, Mr. Martin has continued his professional development through various professional development courses sponsored by the Georgia Society of Certified Public Accountants, the Internal Revenue Service, the National Association of Tax Professionals and other professional organizations. Jeff is a member of the Georgia Society of Certified Public Accountants and the National Association of Tax Professionals. He currently serves as treasurer of Saint Simons Christian School and the Child Evangelism Fellowship (Good News Club). He is past president of the Saint Simons Kiwanis Club, the Saint Simons First chapter of BNI, and the Coastal Georgia Chapter of the Georgia Society of Certified Public Accountants. He is also past treasurer of Keep Brunswick‐Golden Isles Beautiful and the Saint Simons Boating and Fishing Club. He is a graduate of the Leadership Glynn Class of 2004. Jeff has twenty‐five years of public accounting experience. Six of those years were with the firm of George A. Pennington & Co., LLC CPAs in Atlanta, and he spent six years with Moore Stephens Tiller LLC CPAs in Brunswick, Georgia. He also has five years of private practice in the financial services industry dating back to 1987. Jeff opened his own practice in 2008 as M. Jeffrey Martin, CPA, LLC, bringing with him experience in auditing and accounting, income tax preparation and planning, business management, and estate and gift tax planning and preparation. His internet address is www.ssicpa.com. Jeff is married to the former Lynn Montgomery, a 1984 graduate of the University of Georgia. They have two daughters, Lindsey and Katie. In his spare time, Jeff enjoys reading, golfing, and spending time with his family. He is a member of Saint Simons Community Church, where he serves on the worship production team in visual projection. 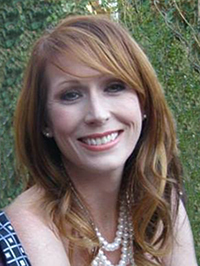 Lisa Kok, a native of Phoenix, Arizona, received her Bachelor of Science in Accounting degree from Grand Canyon University in 2000. Following graduation, Mrs. Kok began working for national homebuilder and Fortune 500 Company, KB Home, in its Regional Accounting Center as a staff accountant. In her five years with KB Home, Lisa reached the level of Cost Accountant before taking a leave from the accounting workplace in order to focus full-time attention to mothering her three children. In March of 2015, after a 9-year hiatus from accounting work, Lisa joined the firm M. Jeffrey Martin, CPA, LLC on a part-time basis, primarily in income tax preparation. She continues to learn various aspects of accounting through QuickBooks and Drake Tax Software training courses. Lisa lives in Brunswick, Georgia and is married to Mark Kok, the Headmaster of Saint Simons Christian School. They have three school-aged children, Olivia, Emma, and Nolan. Lisa’s primary job remains her home and family, and she currently serves as School Lunch Coordinator, Room Mom, and PTA Treasurer. She is a member of Saint Simons Community Church, where she serves with the children’s’ ministry and hosts a bi-monthly Bible study in her home. Joan Harris, a native of Richmond, Virginia, received her Bachelor of Science degree in Education from the University of Virginia. She later took additional tax and accounting classes at the University of Texas at Arlington, Texas. In 1987, she became an Enrolled Agent (enrolled to practice before the IRS). She had her own tax practice for 18 years and has worked for other CPA firms. She is a member of the National Association of Tax Professionals. Joan lives on St. Simons Island and is married to Joseph Harris, who is retired from Verizon. They have three sons and six grandchildren. Joan is a member of St. Simons Community Church, where she served on the Finance Committee, and is now in charge of their Quilting Ministry. Jeff Preston, a native of Ozark, Alabama, received his Bachelor of Science in Accounting degree from Troy University in 1989. Following graduation, Jeff began working for the Georgia Department of Audits. 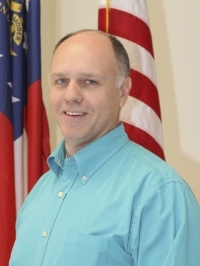 During his time with the Department, Jeff participated in audits of local boards of education, colleges and universities, and state agencies in the State of Georgia. In 1992, Jeff was hired by Brunswick College, now College of Coastal Georgia, and served in many roles including Comptroller and Vice President for Business Affairs. His roles included management of all financial aspects of both the College and the College’s Foundation, a 501(c)(3) organization. He retired from the College in 2018. In November of 2018, Jeff joined M. Jeffrey Martin, CPA, LLC on a part-time basis. He assists with general accounting work, financial statement preparation, and tax document preparation. He has recently become a Certified ProAdvisor on QuickBooks Online. Jeff lives on St. Simons Island, Georgia with his wife Andrea, a 1989 graduate of Georgia Southern University. They have two sons, Jarrod and Joel.